SGA Statement: Covert Mountain Hare film obtained by OneKind and League Against Cruel Sports and broadcast by BBC. A Spokesman for The Scottish Gamekeepers Association said: “In two area shown in the film, the habitats are protected. Land mangers were notified by SNH that one was in unfavourable condition. There are no deer on that holding. The over-grazing damage was caused solely by mountain hares. Another area in the film is designated for dwarf woodland and there is a duty to reduce grazing pressure on the habitat. The other holding has significant areas of forestry as well as moorland. Both of these habitats require grazing assessment and management. “If SNH and Scottish Government want protected sites to be in favourable condition then refuse to back the management actions to achieve that, then estates should stop being thrown to the mercy of animal rights campaigners with secret cameras and SNH should carry out the management themselves. 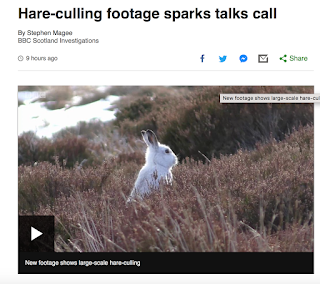 We are not far from the stage now where people will not want to manage deer and hare populations because they cannot operate without being covertly filmed. “Thousands of deer are killed annually, under Government instruction and a potential £40 000 fine for non-compliance, to protect designated sites, habitats, crops and trees. Killing thousands of deer then leaving thousands of hares to feed on that same habitat defies any sense or logic. The sad thing is that there are people within public agencies who know that very well but seem ready to let those tasked with carrying out the task, take the flak. “Welfare is important. However no one managing any species can guarantee human error will never play a part. That is why dogs assist with wounded animals. 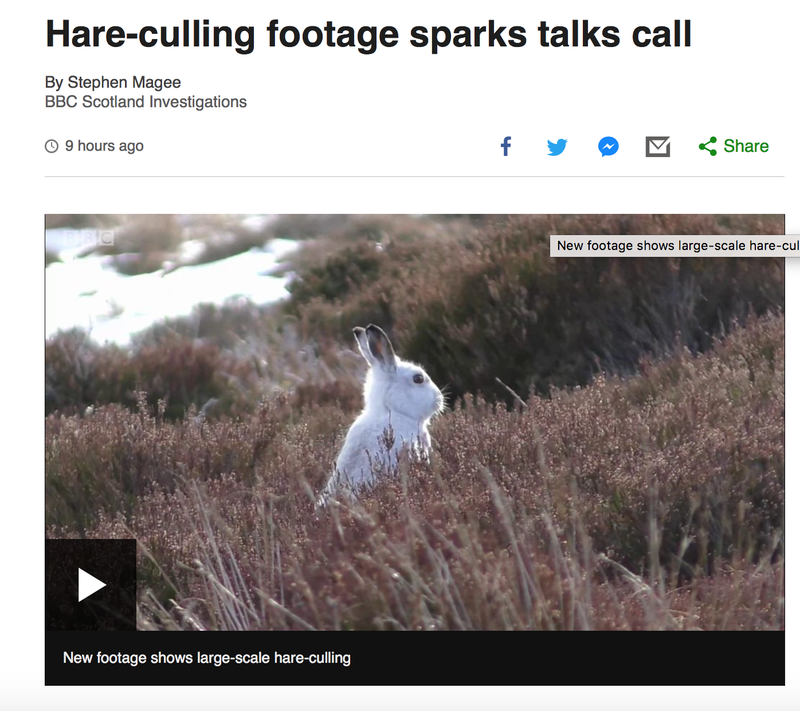 “SNH stated in Parliament recently that there is no evidence available to suggest a threat to the conservation status of mountain hare in Scotland. “The issue has become a Trojan horse for those seeking to end grouse shooting. Yet, if filming took place on nature reserves, viewers would see numbers barely able to sustain population viability. That is the true, untold story of mountain hares in Scotland and it is time it was told."